Lord's will be the venue for ICC Cricket World Cup 2019 Final. 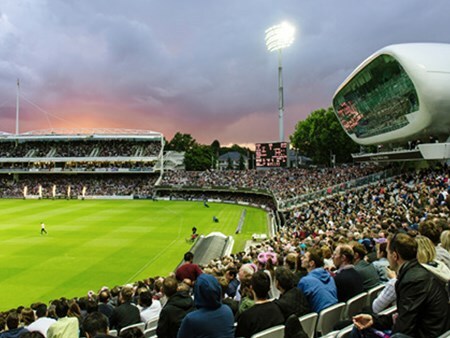 Hospitality Finder are proud to provide corporate hospitality packages at Lord's for the ICC Cricket World Cup 2019. You and your guests can enjoy the first class hospitality at the Home of Cricket whilst watching the action unfold in front of you. Only a few minutes’ walk from Lord’s, you’ll be welcomed into the Ground and a reserved seat will be perfectly located for you to enjoy the day’s play. Enjoy breakfast, a three-course buffet lunch, as well as a complimentary bar within the Danubius Hotel. Beer, Wine and Soft Drinks will be available within the Ground throughout the day. All tables are for 10 people, but groups of all sizes are welcome and those with lower numbers will take places on shared tables. Can't find your favourite ICC Cricket World Cup 2019 | Final package?